Betty-Lou Manizer doesn’t appear to be very shimmery when applied. It provides a soft focus glowing sheen that adds healthy warmth to the face. This works wonders for those with medium to dark skin. 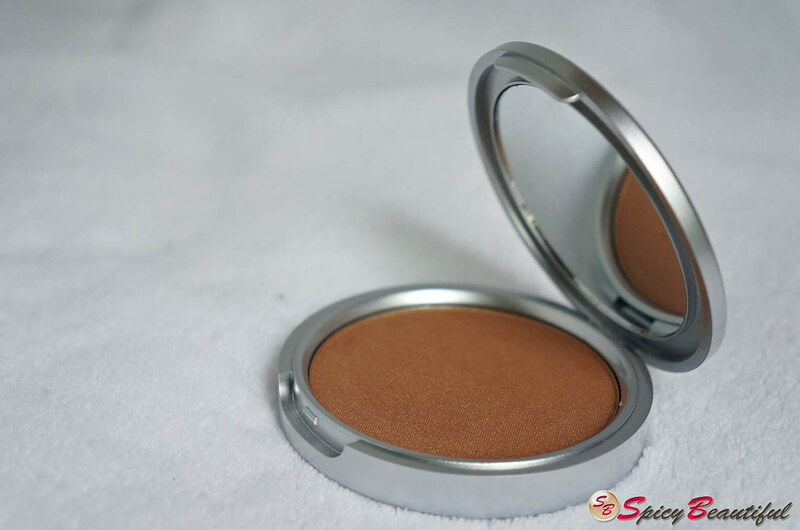 Fair skinned ladies may find this product too pigmented as a highlighter but can get away using it as a blush. 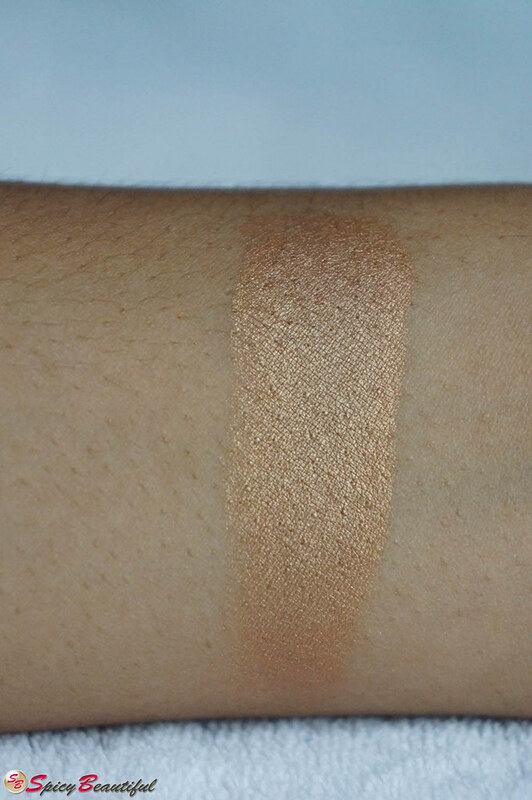 The texture of Betty-Lou Manizer is very silky and soft. It applies like a dream and doesn’t appear chalky or powdery on the skin. It doesn’t have chunky glitters or obvious shimmers which is great because it means it won’t make you look like a disco ball! All you will get is a gleaming healthy sheen that looks very healthy like you’ve been eating your fruits and veggies in humongous proportions for weeks. 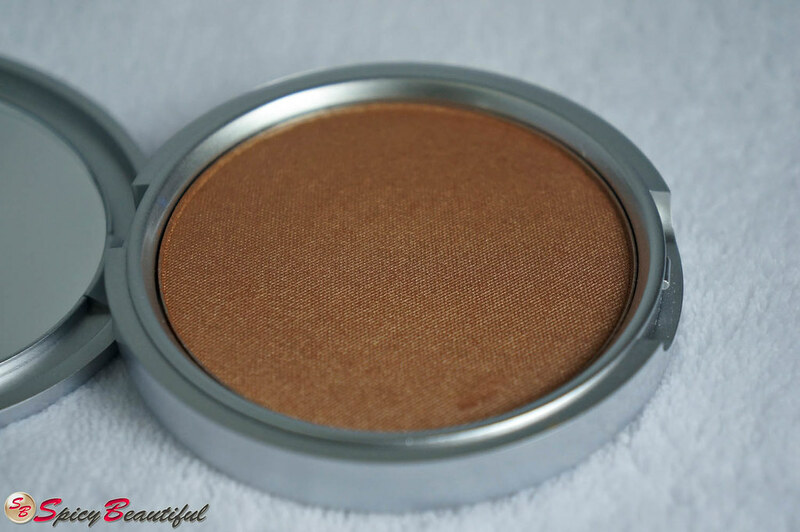 The color payoff of Betty-Lou Manizer is superb and works great in giving a wash of color to the eyelids. This also means so you need a very light hand in applying this product or else, it will look overdone. With just little product, I already get the result I want so I doubt if I’ll be able to hit its pan anytime soon. 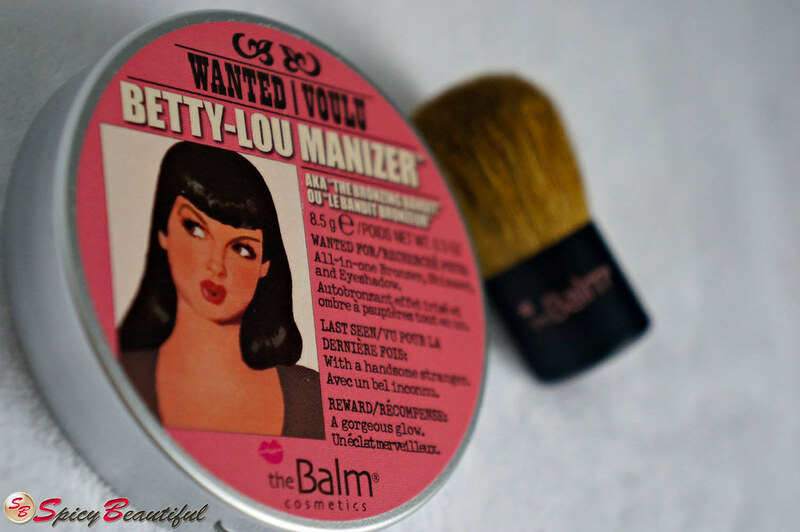 I don’t have that much experience with highlighters but I can definitely say that theBalm Betty-Lou Manizer is an exceptional one and is a very good introduction to the “highlighter” department. It retails for $24.00 at theBalm.com and UltraFragrances.com and Php 945.00 at any Beauty Bar stores in the Philippines.